However, that doesn't stop us from travelling but checking the weather forecast for our destination has become something of a ritual. What we most like about the Liguria weather is its mild climate. The rings of hills just beyond the coast together with the influence of the sea are the culprits for this pleasant and mild climate all year round. This makes every season ideal for coming here. The average winter temperatures are around 6-11°C while the summer temperatures average around 25-28°C which makes for a pleasant stay even in the heart of winter. It would still be too cool to lie on the beach but Liguria offers lots of beautiful beach spots to sit down, be treated to great views and catch the winter rays. Did the forecasters get it wrong? Were you melting in sweltering heat? Or did you just enjoy the perfect vacation weather? 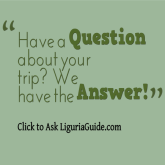 – Share Your Liguria Holiday Weather Story with us ! During the summer months of July and August the area is buzzing with tourists and Liguria is welcoming you onto its beaches with temperature reaching up to 37°C degrees and a lot more humidity in the air. It is the time to enjoy the sun and sea and be far from the traffic jams of summer. You might find travelling to Liguria in the spring period between April to June and autumn months of September and October where the temperature will be around 20 to 30°C to be the best time to become better acquainted with this area. During these periods the place is not clogged with tourists - the views and the relaxing atmosphere make for a better experience. And for a peek into the current Genova weather conditions, nothing beats live feed of Genova Weather webcam . If you are planning a visit to Portofino, be sure to check the Portofino Weather conditions here. And to see what the weather is like at the moment, check the live feed of Imperia Weather webcam . And to see what the weather is like at the moment, check the live feed of Lerici Weather webcam . 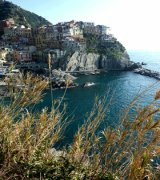 If you are planning a visit/hiking to Cinque Terre, be sure to check the Cinque Terre Weather conditions here . And to see what the weather is like at the moment, check the live feed of Savona Weather webcam. 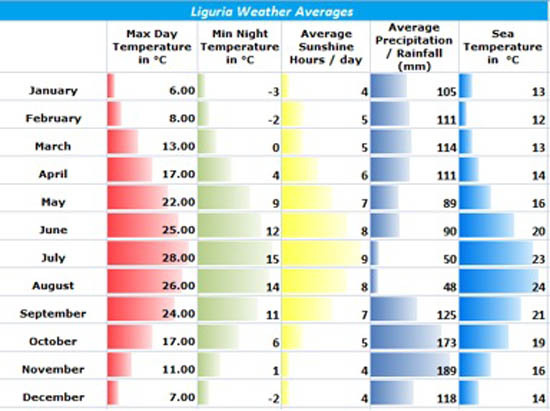 Share Your Liguria Holiday Weather Story ! Did the forecasters get it wrong? Were you melting in sweltering heat ? Or did you just had the perfect holiday weather ? Share your Liguria Holiday Weather story with us!